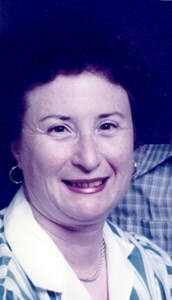 Newcomer Family Obituaries - Phyllis M. Gillman 1934 - 2019 - Newcomer Cremations, Funerals & Receptions. Phyllis M. Gillman, 84, passed away on April 13, 2019. She was born in Brooklyn, NY on July 16, 1934. She was preceded in death by her parents, Samuel and Ruth Hirsch, sister, Jean Burnstein. Surviving family includes husband, Gerald, children, Terry (Scott) Kagan, Steven (Candy) Kagan, Dennis (Elizabeth) Gillman, grandchildren, Max, Jill, Chaffe, Joseph, Stephanie, Clint, Benjamin, Jeremy, Nicholas, many great-grandchildren, brother, Robert (Elizabeth) Hirsch. Visitation will be held from 4-8pm, Wednesday, April 17, 2019 at Newcomer, SW Chapel, 3393 Broadway, Grove City, OH. A funeral service will be held at 2pm, Thursday, April 18, 2019 at the funeral home. Burial will be at Dayton National Cemetery on Friday, April 19, 2019 at 11:45am. Add your memories to the guest book of Phyllis Gillman. It is with a heavy heart that I leave a message of sympathy due to the loss of Phylis your wife and Mom. I wish I could be there, but my circumstances do not allow. I will forever remember Phylis as my second Mom. The Gillmans welcomed me into their homes and hearts. I have been so blessed to have Dennis and his loved ones in my life for over 40 years. Rest Phylis and know we shall never forget you and your Beautiful smile.